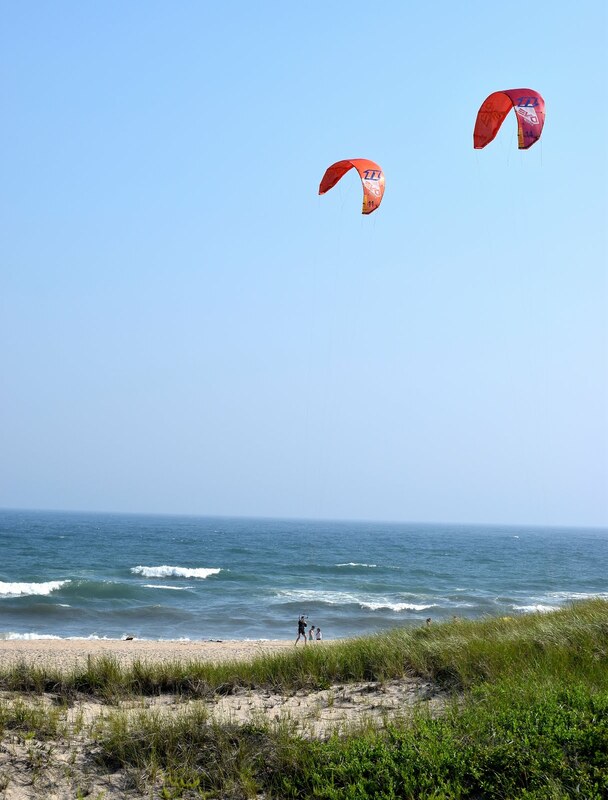 Have you ever had a totally awesome experience? 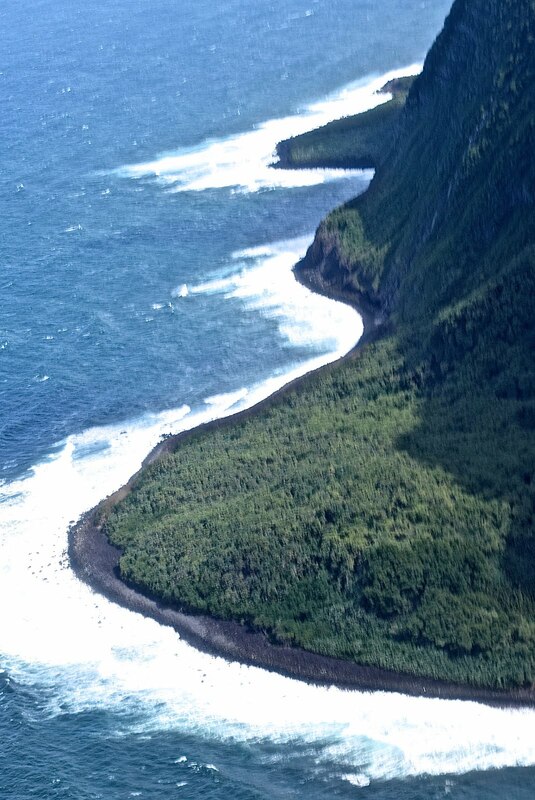 I'm talking about when something is "awesome" in the truest sense of the word. No, not like when I say, "We're having burgers for dinner," and Junior Goo Shoes says, "Awesome!" I mean as in amazing, moving, heart-stirring, wonderful, spiritual, powerful. 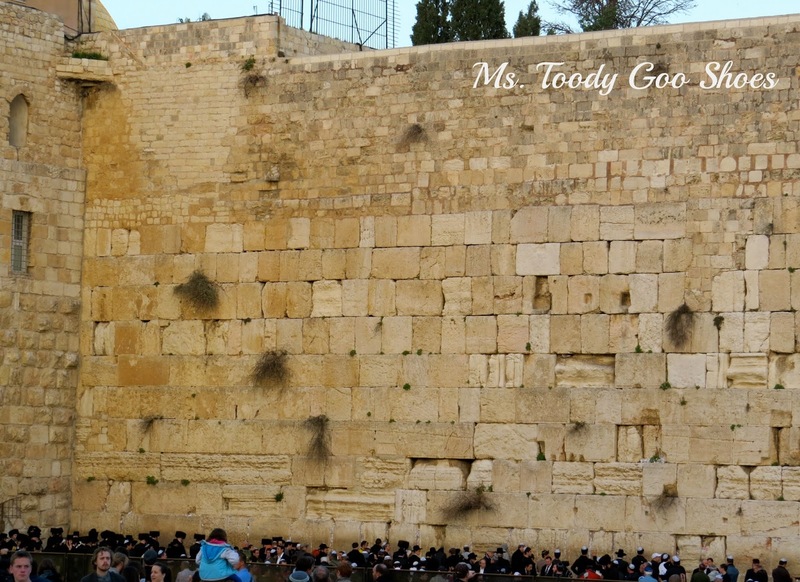 This particular "moment of awe" happened last December at the end of our two-week trip to Israel. Actually, it was one of many incredible "moments" on that trip, but this one is very relevant to Chanukah, which starts tonight. 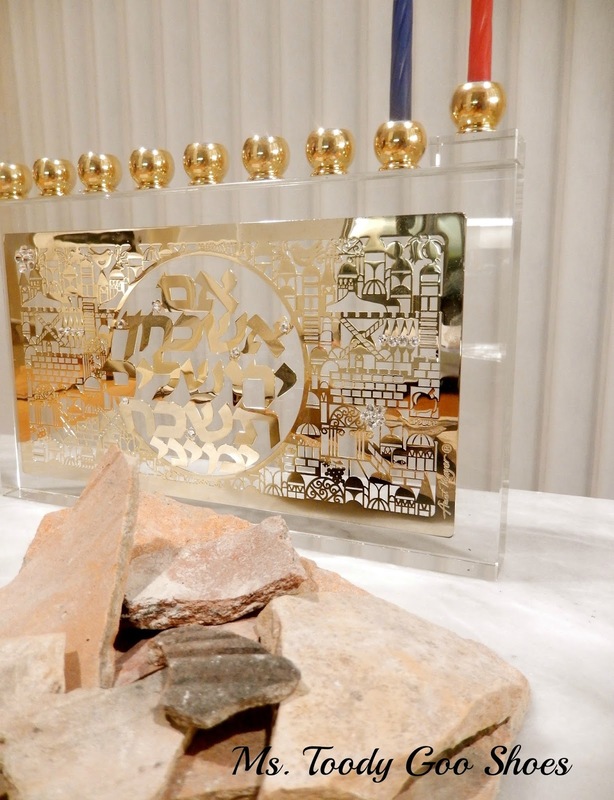 So grab a jelly doughnut and some latkes, and let me tell you the story of how our new menorah is tied to the actual miracle of Chanukah, which happened 2000 years ago. The one souvenir that we really wanted to bring home from Israel was a menorah... the traditional candelabra used to light candles on each of the eight nights of Chanukah. 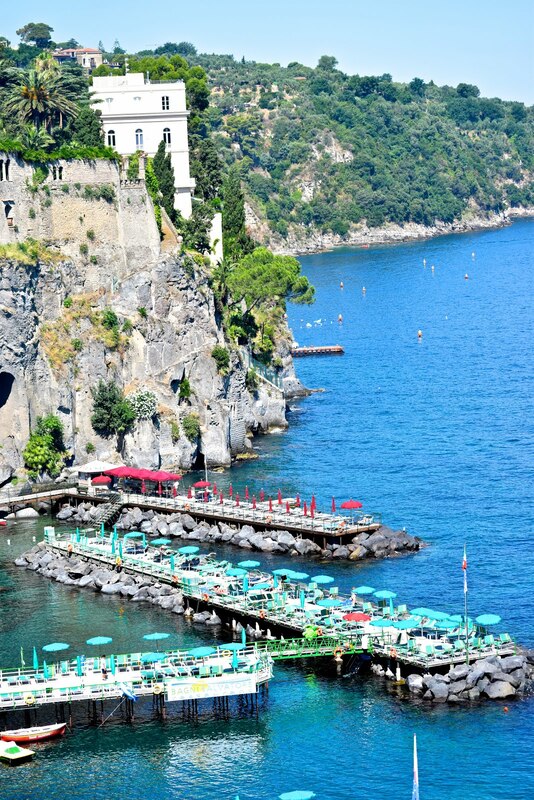 We wanted it to be really special...one that would always remind of us this trip of a lifetime. When we finally found it, we had no idea that this menorah would turn out to be even more significant than we could have ever imagined. 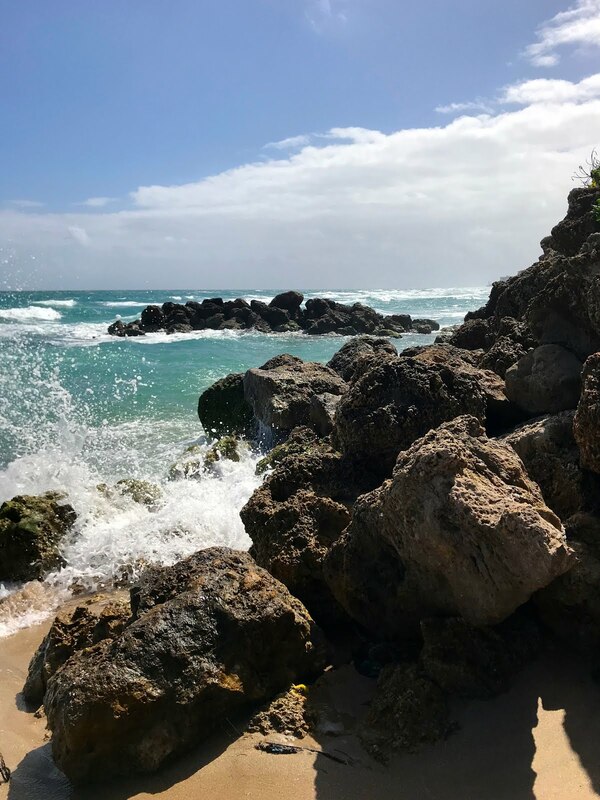 For awhile, we thought we were going to come home empty-handed. Our trip was winding down, and we hadn't yet found a menorah that "spoke" to us. But because some things are meant to be, we had to be patient. 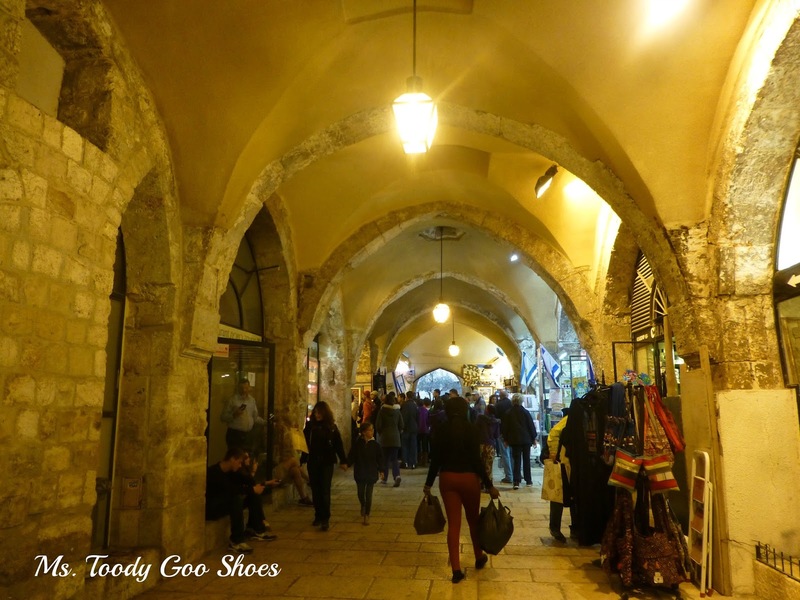 The day before we were leaving Israel, we were shopping in an area called The Cardo. It was Jerusalem's main street 1500 years ago. 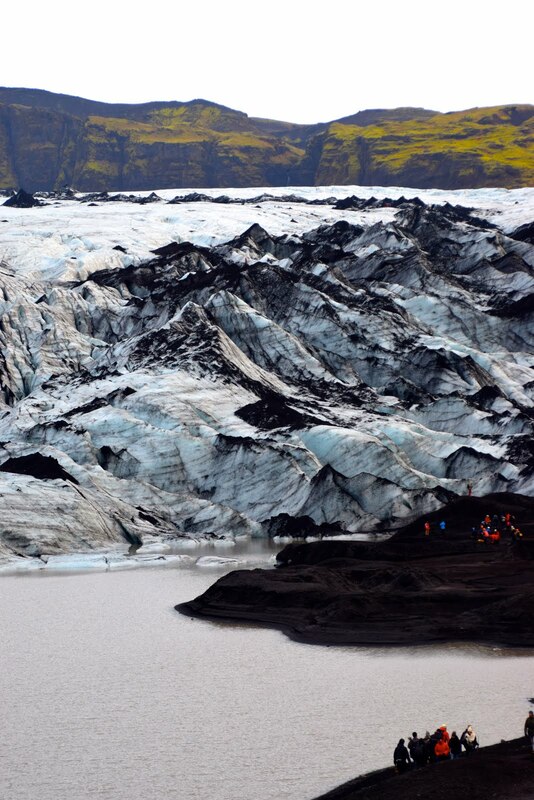 Click here for a panoramic view. 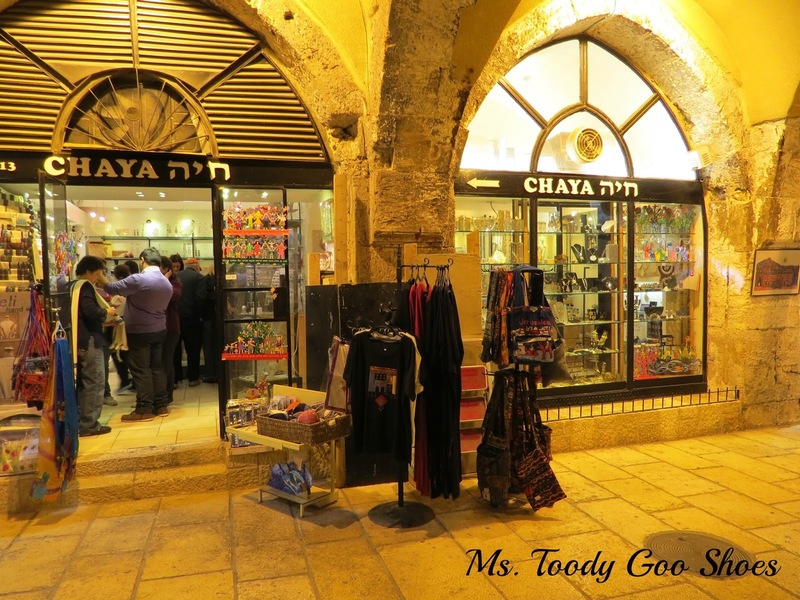 Did you catch that Art and Judaica shop in the first few seconds? There it was! Our menorah was right there in the window! 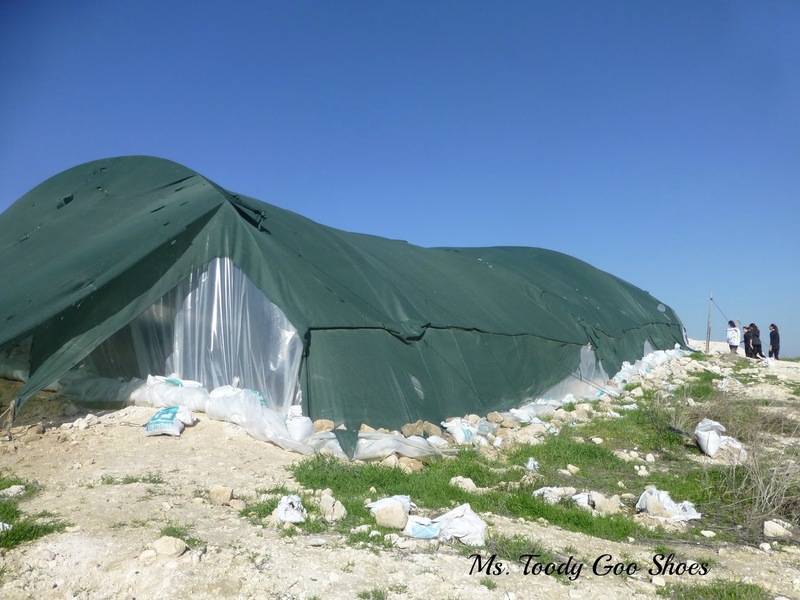 It was designed by an Israeli artist named Anat Mayer. 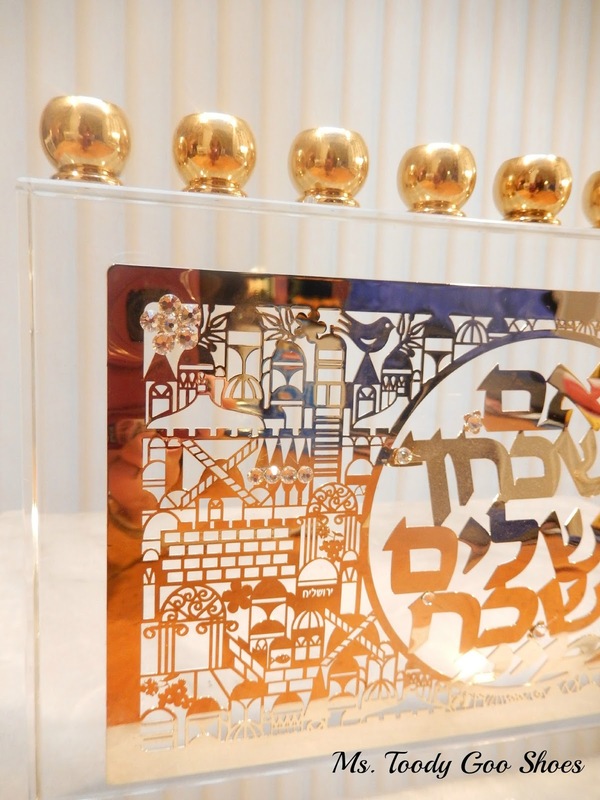 Supposedly, when the Israeli Prime Minister needs to give a gift to a foreign dignitary, he gives one of Mayer's pieces. That's what the store clerk told us, anyway. 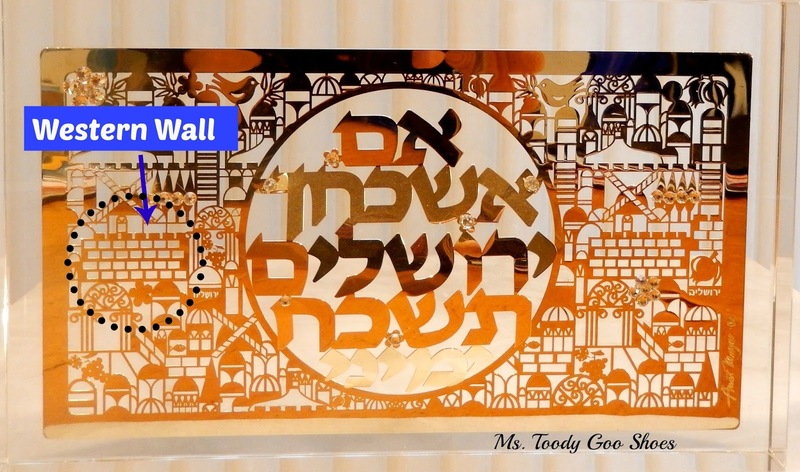 Not only was it beautiful, the brass overlay depicted scenes and symbols from all around Israel...which told the story of our trip. We were sold. Or rather, it was...to us! 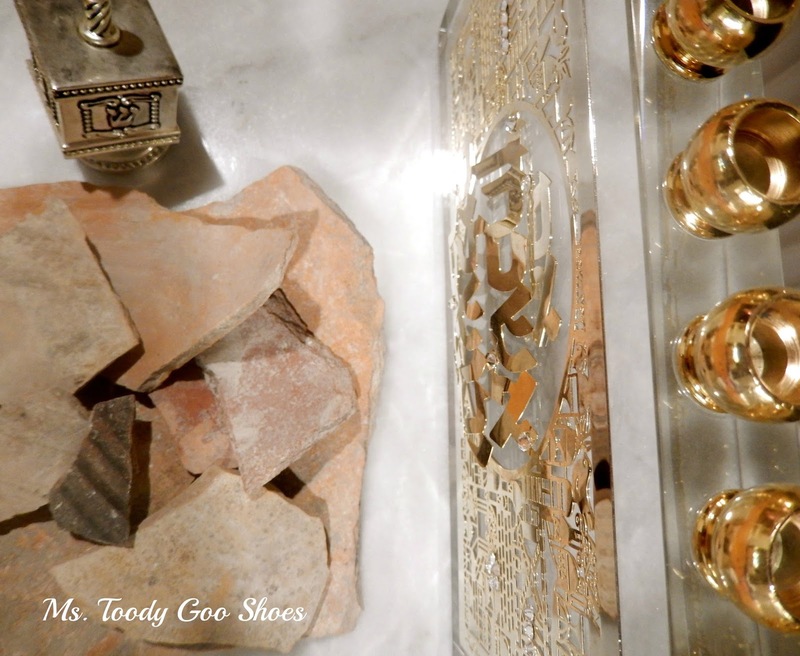 Most of the symbols on the menorah were meaningful to us, reminding us of all the things that we saw on our trip. When the store offered to have it delivered to our hotel, we said yes, because that sucker was heavy, and why shlepp it if we didn't have to? Concierge doesn't have it. Front desk doesn't have it. Lost and Found doesn't have it. And we're leaving the next night. 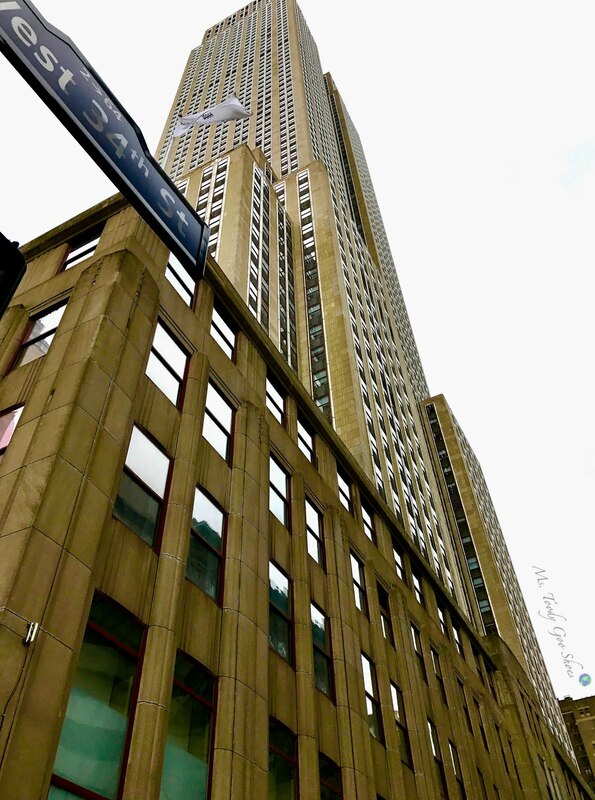 Long story short, Mr. Goo Shoes spends a good part of the following morning on the phone with the store, who insists they sent it...and the hotel, who insists they don't have it. In the meantime, we were on the bus headed to our last stop on the tour. 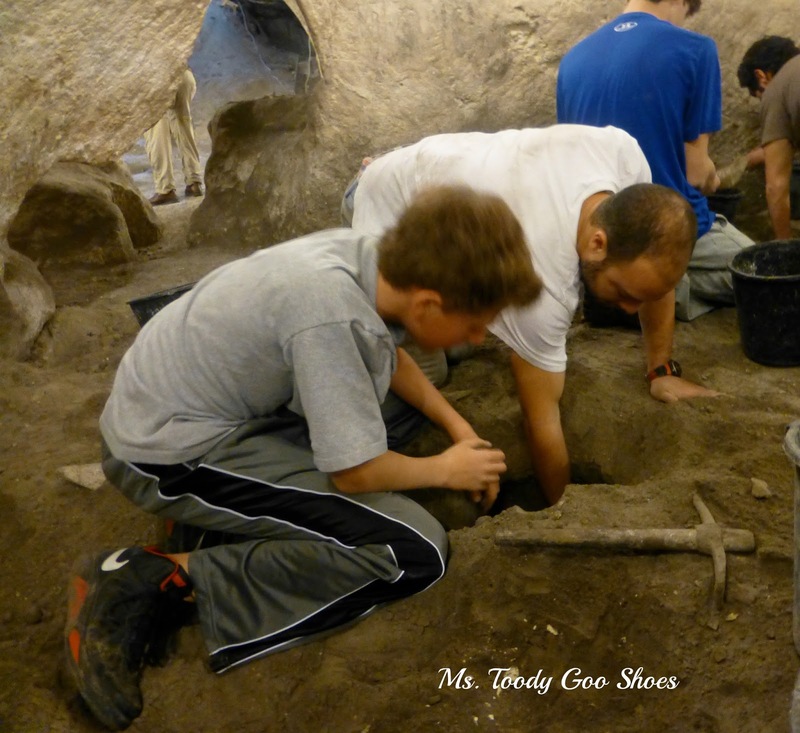 It was an archeological dig at the Bell Caves at a place called Beit Guvrin. It turned out to be an AWESOME experience. 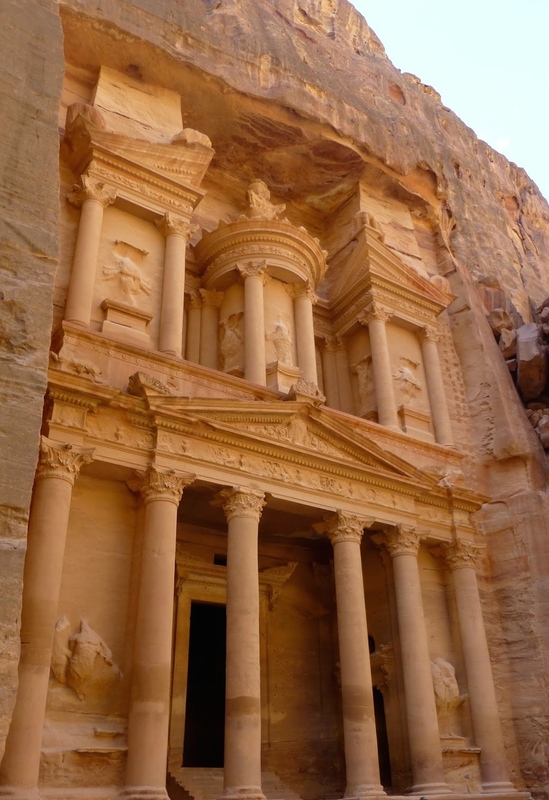 This was no tourist attraction, where they bury fake artifacts in the dirt. This was a real excavation. Whatever we found, was the real deal, which meant we could not keep it. 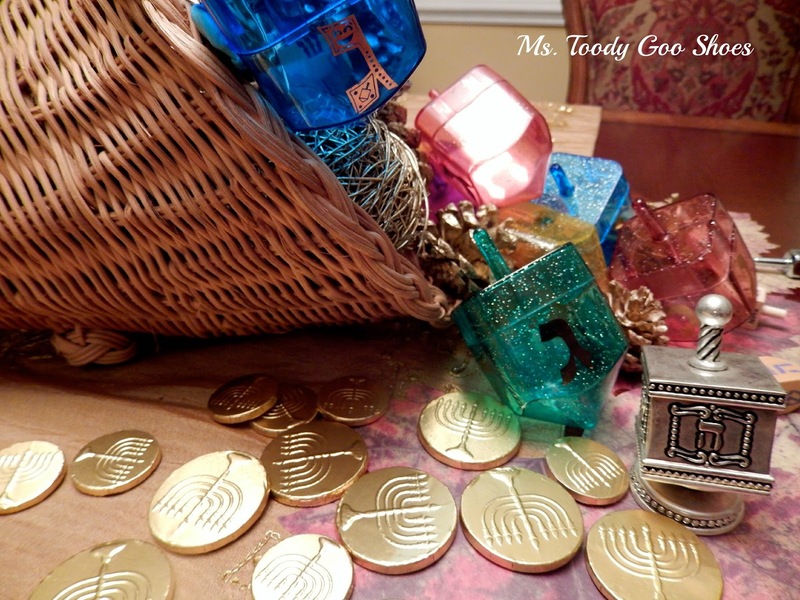 I know you think that I have veered way off the Menorah story, but I promise you, I'm circling back to it. ...the tour group leader explained the history of the site we were excavating. How did they know this? It was at this site that a large tablet was found. Think of Moses and the 10 Commandments...that kind of tablet. It's one thing to find artifacts, but it's another to find something with writing on it, that gives actual information about the excavation site. 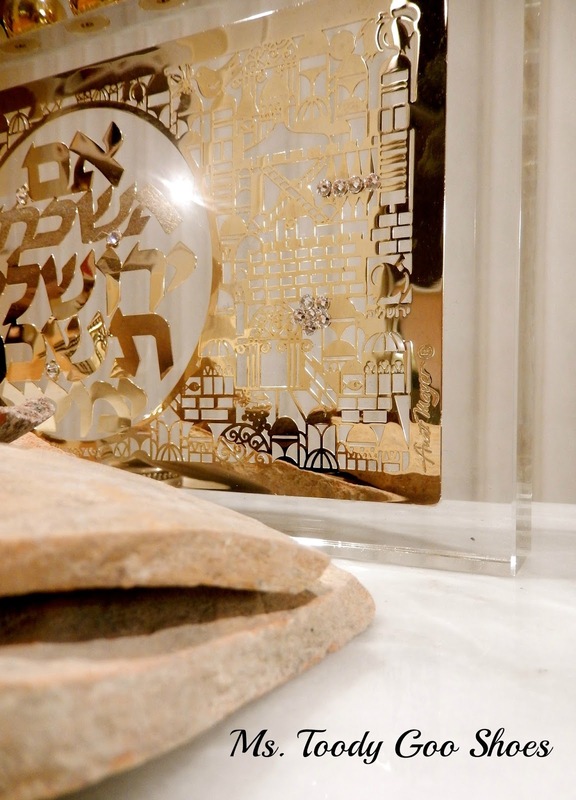 This tablet said something that connected it to the period in time when the Jewish temple was destroyed by a mean man named Antiochus. 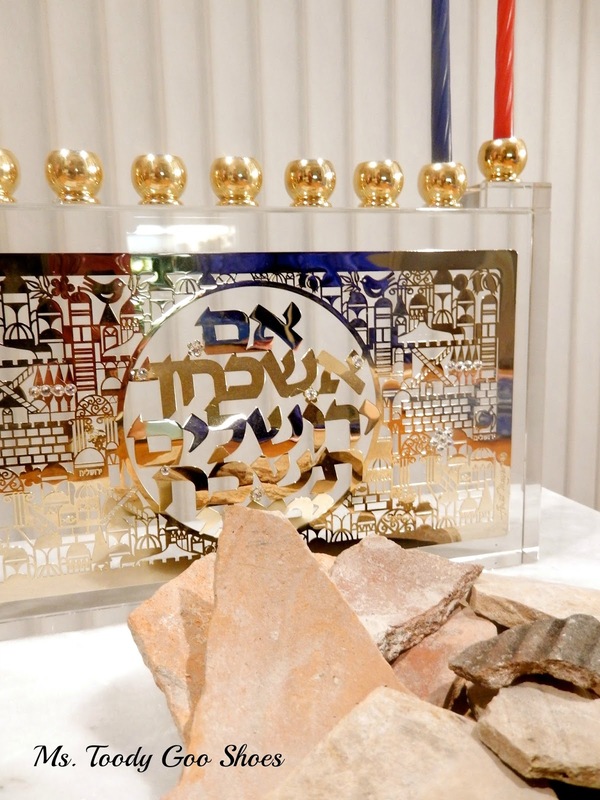 One of the things his soldiers did was spill almost all of the precious oil that kept the temple's menorah lit throughout the night. When the Jews came back to clean up the temple, there was only enough oil left to burn for one night, yet miraculously, it burned for eight days. That miracle is the reason we celebrate Chanukah today, and light our menorahs for eight nights. Our mouths were hanging open. You can imagine the feeling of learning about Chanukah your entire life, and then standing on the site connected to where it all happened...2000 years ago. 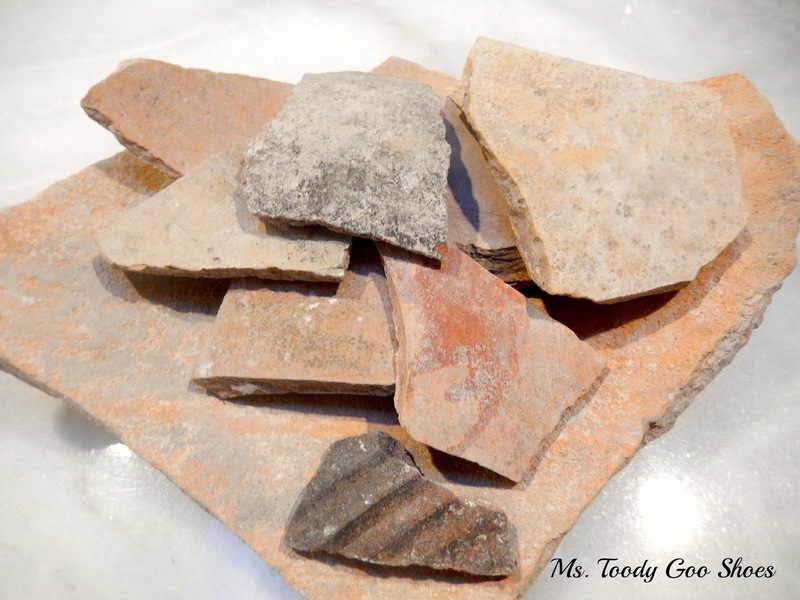 Our tour guide pointed to a pile of scrap pottery, that they had tried to piece together, but couldn't. We could take as much of that as we wanted. 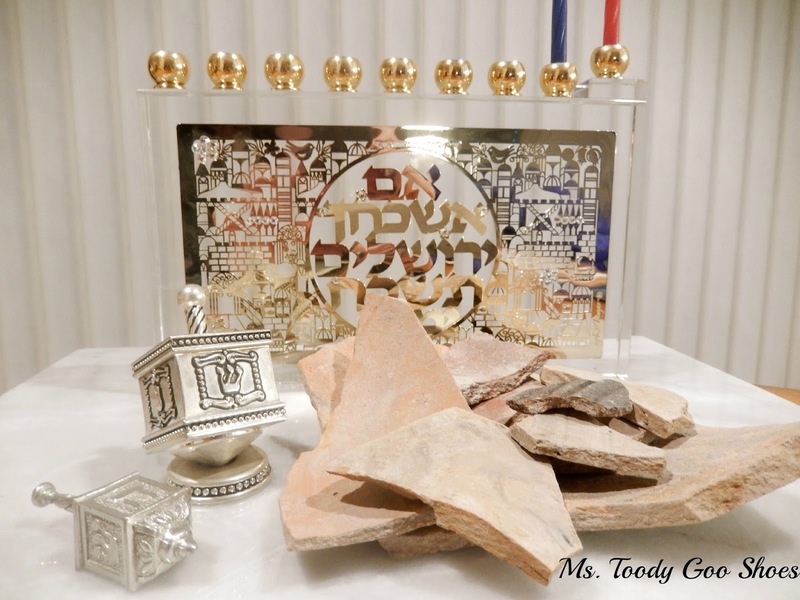 He suggested that we take some pieces, and place them next to our menorahs when we light them, to connect present-day Chanukah with the past. I can't adequately describe the feeling, but it was amazing, moving, heart-stirring, wonderful, spiritual, powerful. I was all verklempt (choked up). 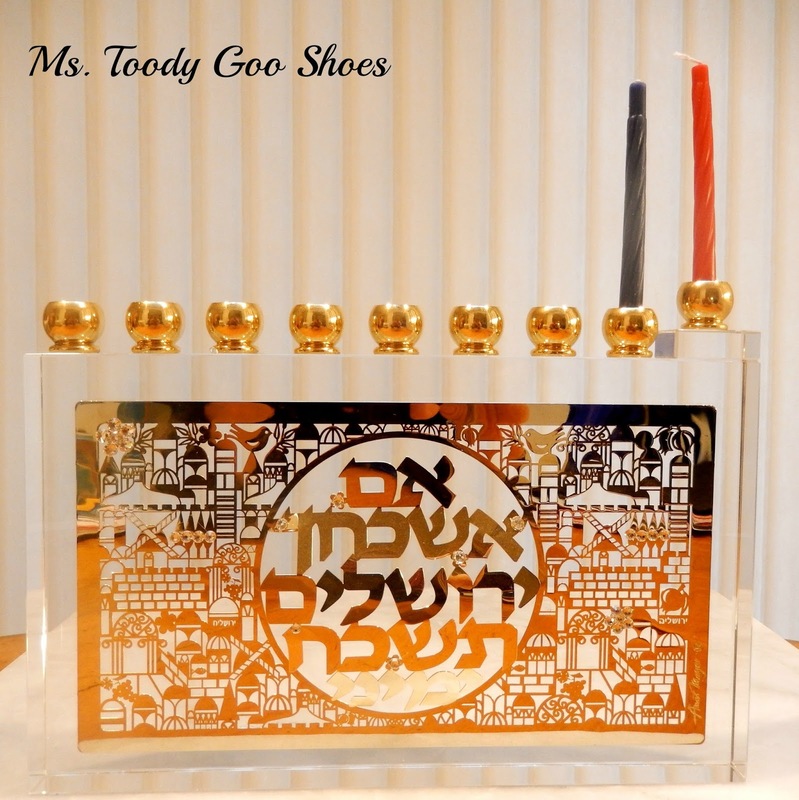 And then I remembered that our beautiful, new menorah...the special one we had finally found... had gone missing. 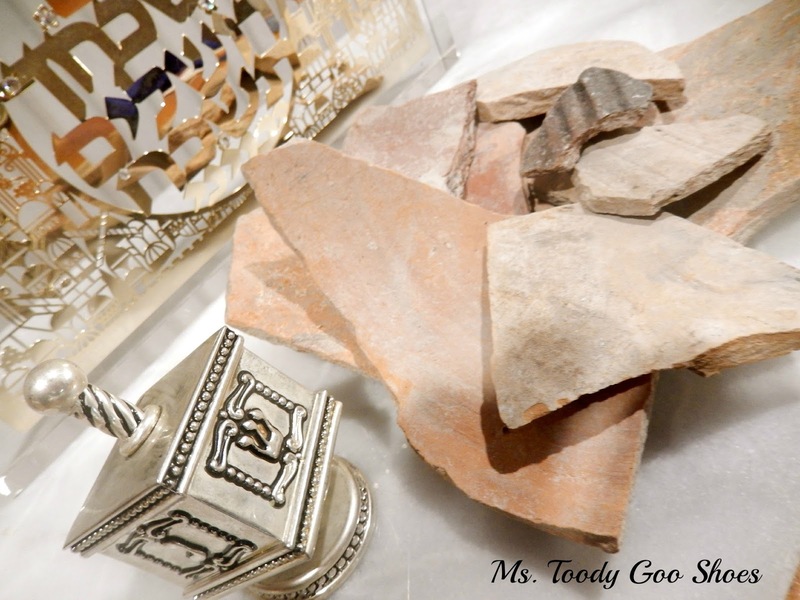 How incredible it would have been to light the menorah we got in Israel, next to this 2000 year-old pottery. 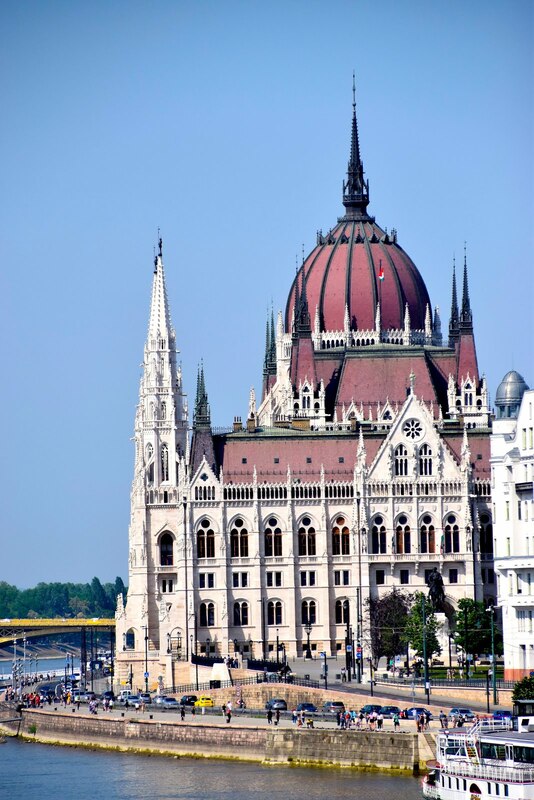 ...and got on the bus to head back to the hotel, before we left for the airport. When we got back to the hotel room, the Menorah was there waiting for us! Turns out, it had been at the hotel the entire time, but somehow had gotten misplaced. I think I cried. Yup, I did. 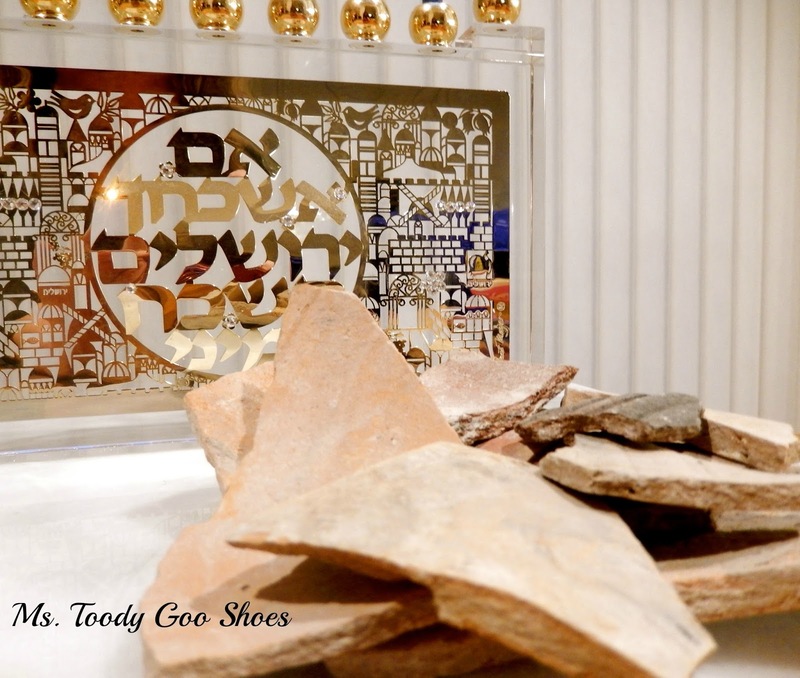 So, tonight will be the first night that we light our new menorah, with our 2000-year-old pottery along side it. ...and we'll remember our own little Chanukah miracle story, about the menorah that was meant to be...ours. 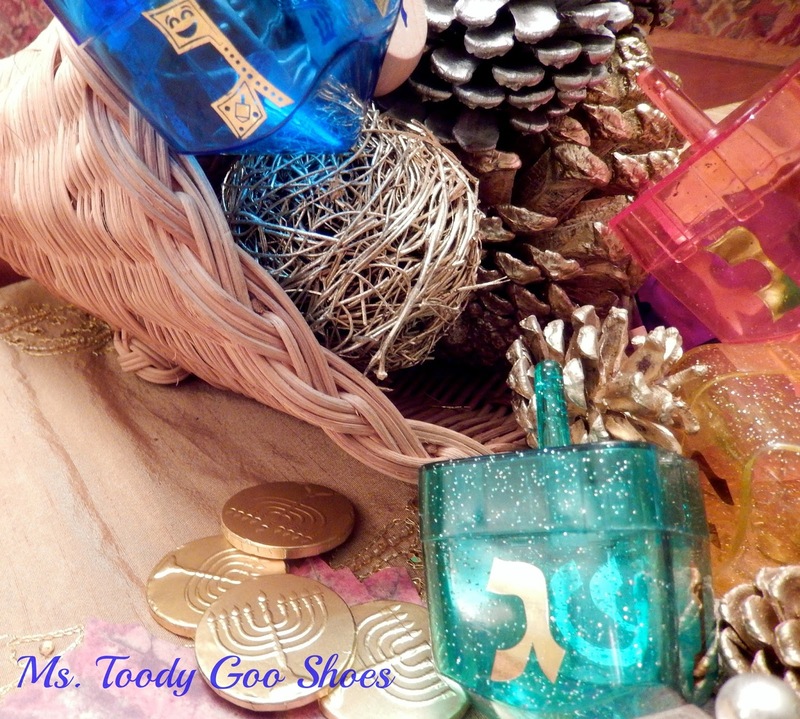 Wishing those of you who celebrate a Happy Chanukah! And wishing EVERYONE a Happy (and safe) Thanksgiving! 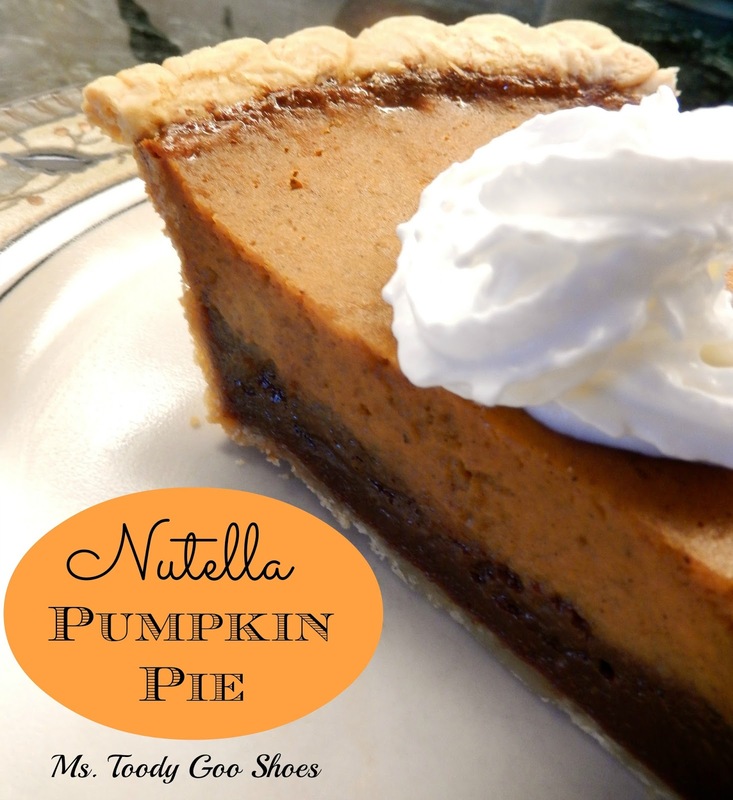 Nutella Pumpkin Pie - Oh My! Do you want to be a rock star on Thanksgiving? I've got a surefire way to ensure your success. 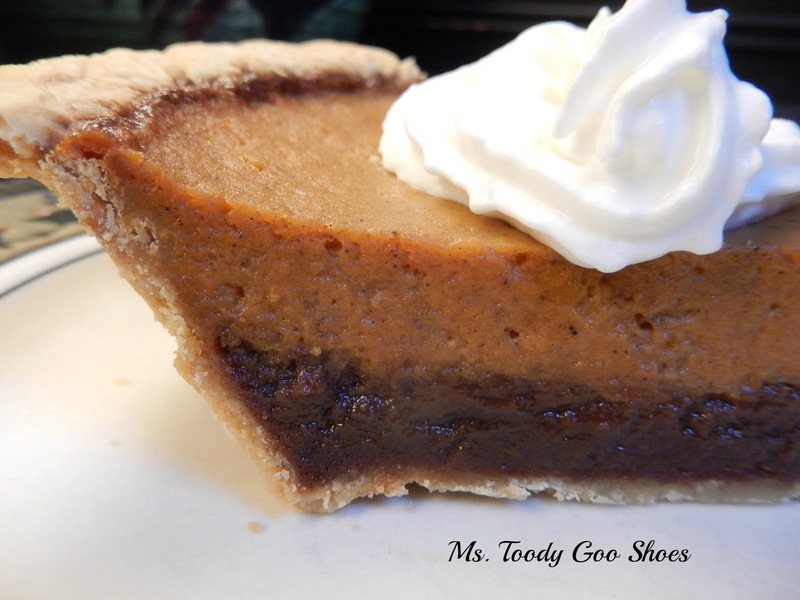 Even if you overcook the turkey, dry out the stuffing, and burn the sweet potatoes, you will still come out shining like a baking diva once you serve this pie. 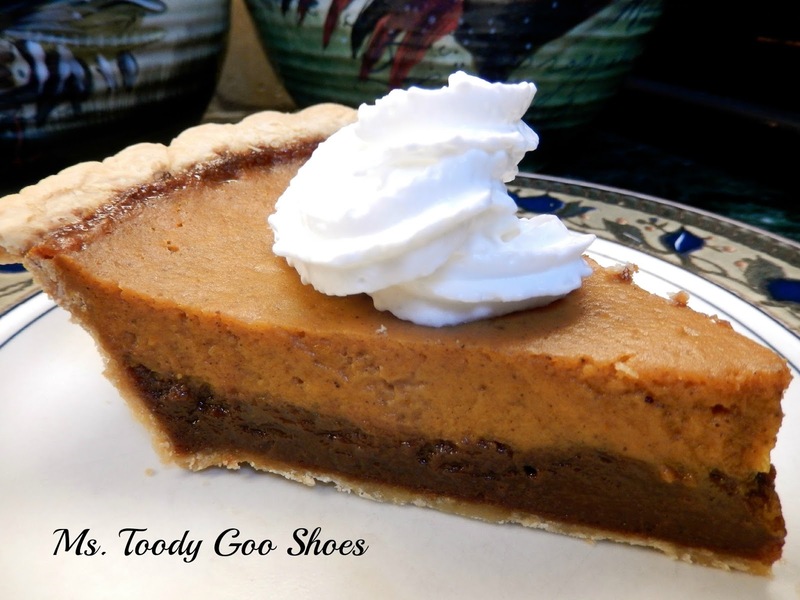 THIS IS THE BEST PUMPKIN PIE I HAVE EVER EATEN. Maybe it's because I made it in my new oven, but I doubt it. The credit definitely goes to the Nutella. As much as I'd like to take credit for the recipe, I can't. It comes from the folks at Nutella. ...which is a good thing, since now I'll be the rock star at Thanksgiving and she won't. Oh, wait...she's making the latkes (potato pancakes), so maybe I'm not a shoe-in. 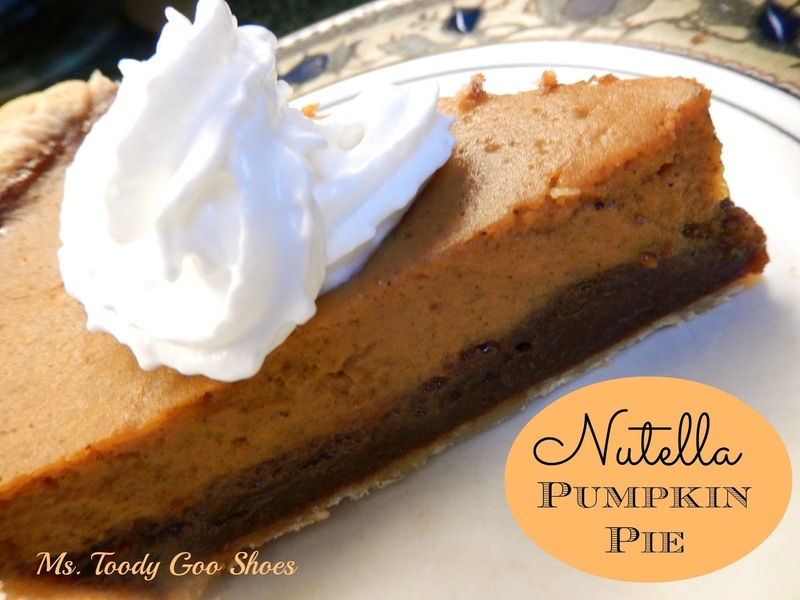 Well, let's take a vote ... what would you rather eat -- potato latkes or Nutella Pumpkin Pie? That's what I thought. I rest my case. I will be the rock star. 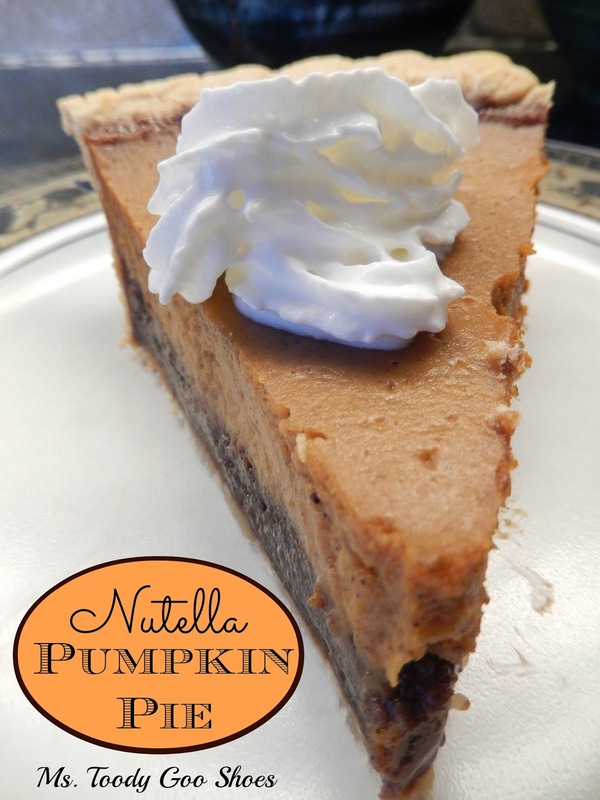 This recipe is brilliant...the combination of a creamy Nutella base topped with a layer of pumpkin pie...well, it's beyond words. You'll just have to try it. I think we'll stick with the original name. I have to confess that when I made the pie this time, I used a frozen pie crust. I was feeling a bit pressed for time. It still came out great, so don't feel bad if you have to cheat. 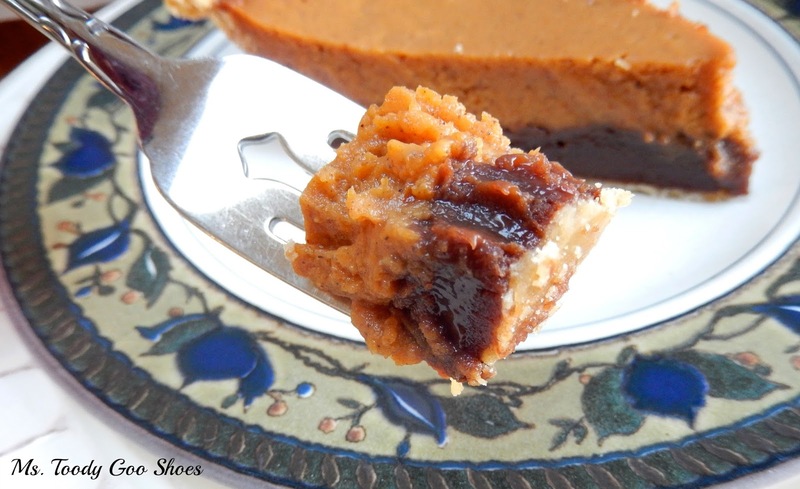 Make sure that you buy the canned pumpkin pie mix...not the plain pumpkin puree. Oh, and I used fat-free sweetened condensed milk, you know, to make it a diet version, heh heh. Just a note about the baking time. The recipe says to bake the second layer -- the pumpkin layer -- for 25-30 minutes. It took mine close to 45 minutes. I even put in a little oven thermometer just to make sure my new oven was calibrated properly, and it was. So, just be aware that it may take you longer, too. Prepare the pie crust according to the directions on the box and line it in a 9-inch pie plate. Using a fork, press the dough around the edge of the plate. 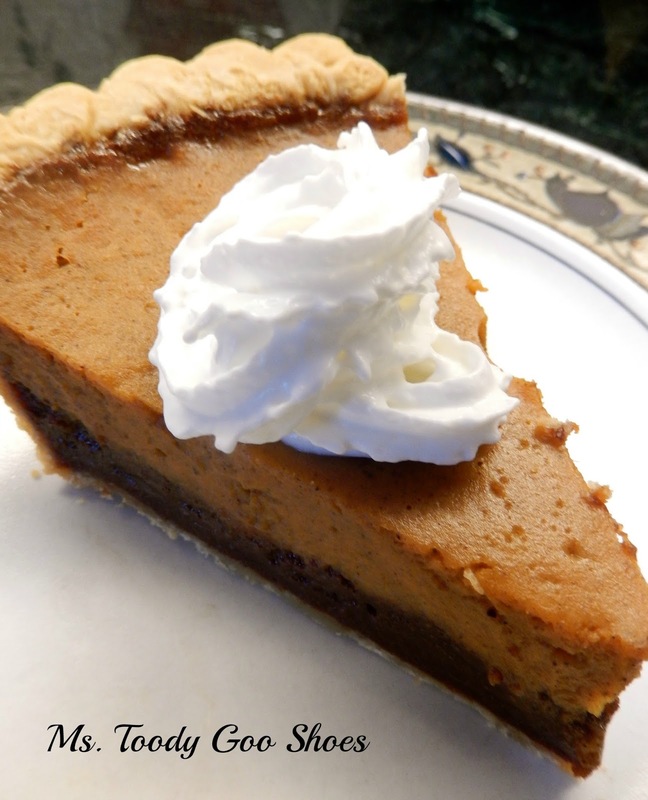 Line the pie with aluminum foil and fill with dried beans, uncooked rice or pie weights so the crust holds shape while baking. Pre-bake the shell for 10 minutes. 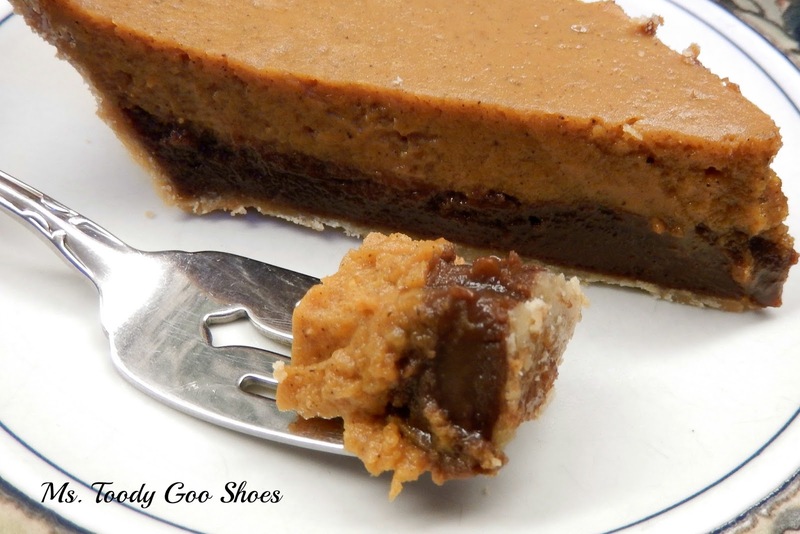 Remove the dried beans, uncooked rice or pie weights and the aluminum foil from the pie crust. Turn the oven down to 325 degrees. Meanwhile, in a medium bowl, blend the Nutella with 1/2 cup sweetened condensed milk and two egg yolks, stirring until mixed thoroughly. Carefully spread mixture into the pie crust and bake for 30 minutes until puffy and just set. In a second medium bowl, stir together the remaining sweetened condensed milk, 2 whole eggs, canned pumpkin pie mix and pumpkin pie spice. Gently spoon the mixture over the baked Nutella layer of the pie and continue to bake for an additional 25-30 minutes (or longer, possibly) or until a knife inserted in the center comes out clean. Cool completely and refrigerate for two hours. Serve with whipped cream. I wonder what I should wear when I accept my Rock Star award on Thanksgiving. Take my advice, and go get your outfit ready, too. You're gonna be a winner if you make this pie. 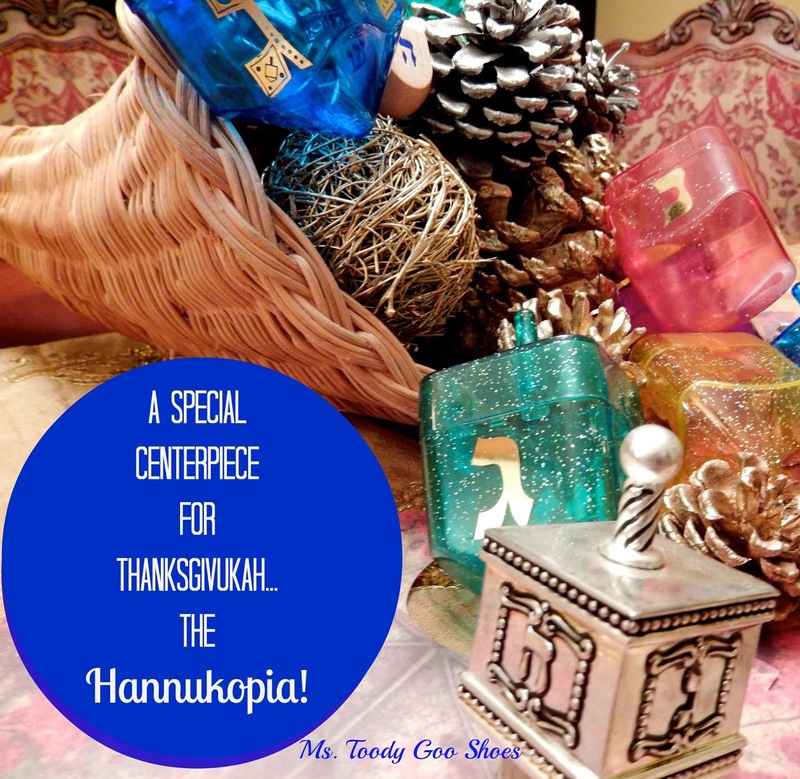 What do you get when you cross Thanksgiving with Hannukah? Yes, this year, the first day of Hannukah (which is actually the second night -- oy, it's so complicated!) falls on Thanksgiving...a mash-up of epic proportions! This has spurred a frenzy of culinary creativity, resulting in hybrid Thanksgiving/Hannukah recipes, like Challah Stuffing, Sweet Potato Latkes, Cranberry Applesauce...there are way too many to list. 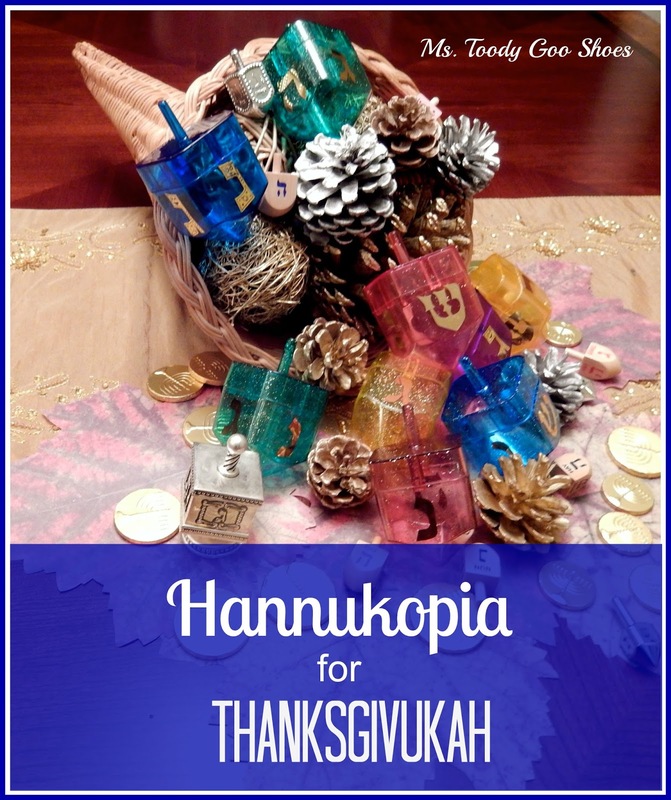 Thanksgivukah has gone so crazy, it's got it's own Facebook page; there are Pinterest boards, T-shirts, videos on You Tube, and maybe best of all, the Menurkey...a Menorah in the shape of a turkey designed by a 9-year old boy named Asher Weintraub. 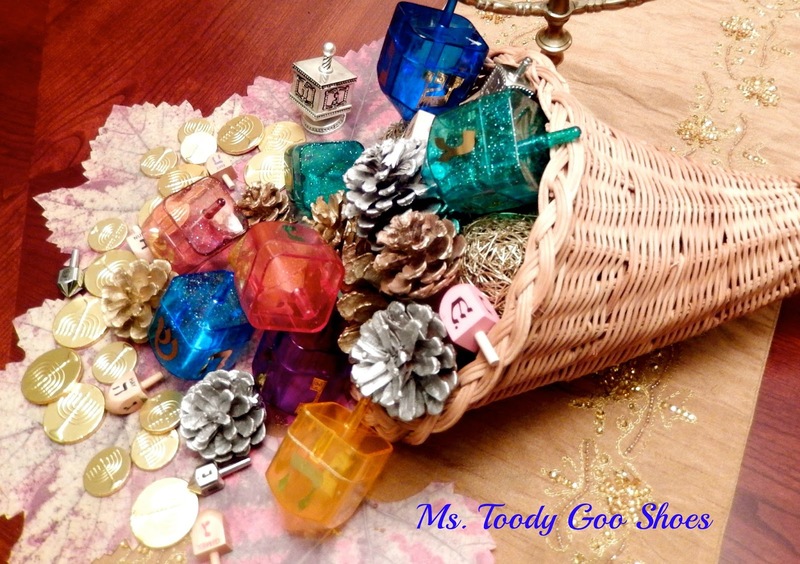 a Thanksgiving/Hannukah Cornucopia, stuffed with pine cones, dreidels and gelt! ..or a Horn of Tchatchkes, if you will. I mean, if you're going to go to the trouble of serving pumkpin Challah, horseradish mashed potatoes, and cranberry-filled doughnuts, you need a proper centerpiece, no? It's a rare occurrance that these two holidays collide. In fact, last time it happened was in 1888, back when Grover Cleveland was president, and the year when Vincent Van Gogh cut off his ear. But don't put Thanksgivukah into your iPhone calendar just yet... the next time it rolls around is 70,000 years from now!!!! (that's Happy Thanksgivukah in Hebrew). 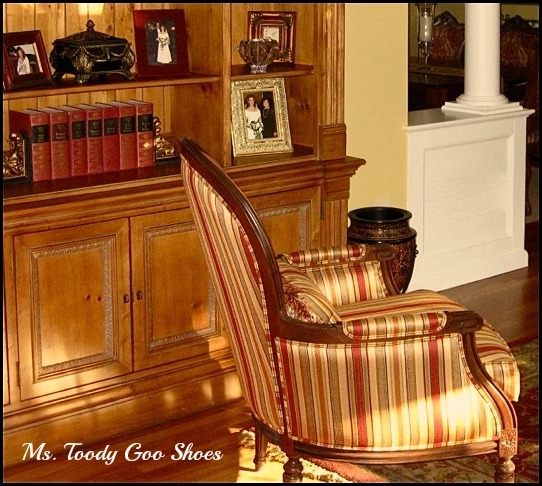 Do you have a favorite chair? 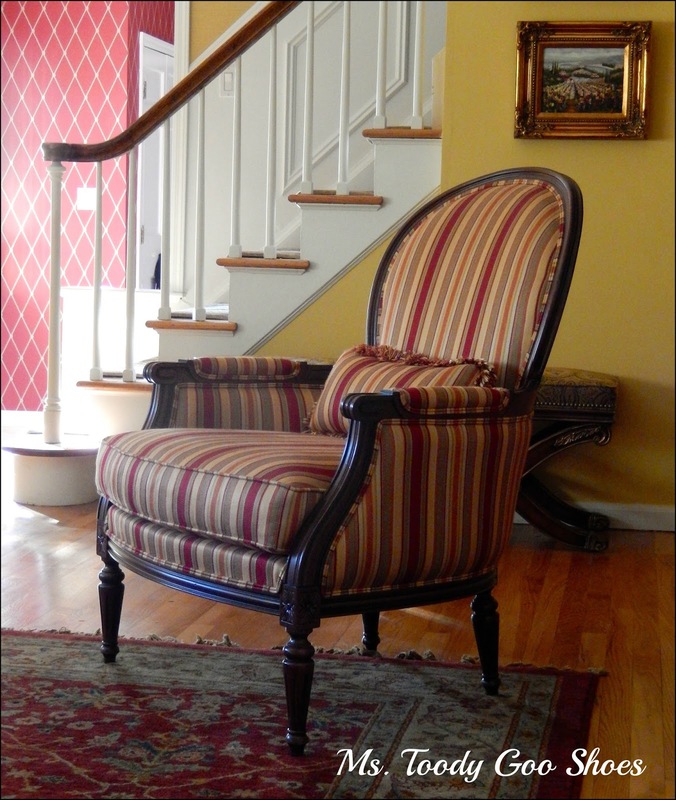 I have a thing for chairs, so there are quite a few in my house that I'm partial to. I have to admit that when we first saw this chair in the store, I wasn't sure how much I even liked it. 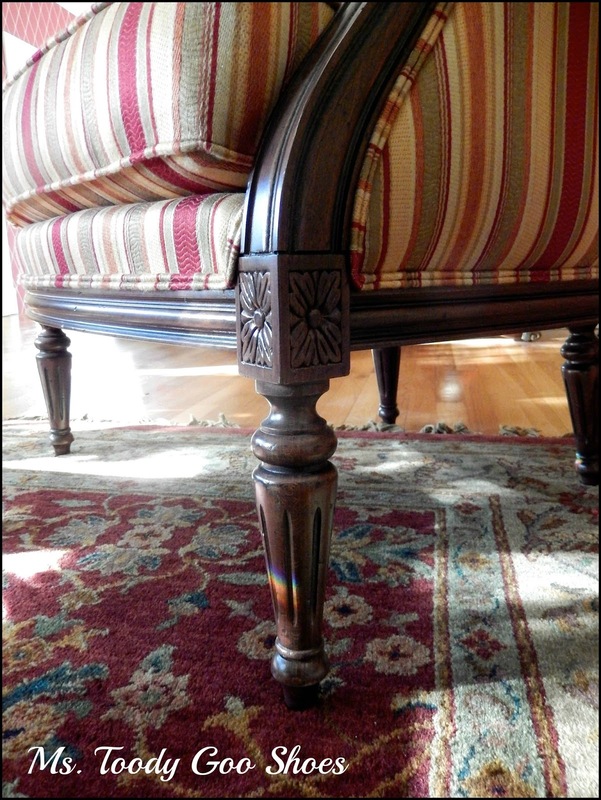 The fabric on the floor model was a country plaid, and the frame was a bleached wood. 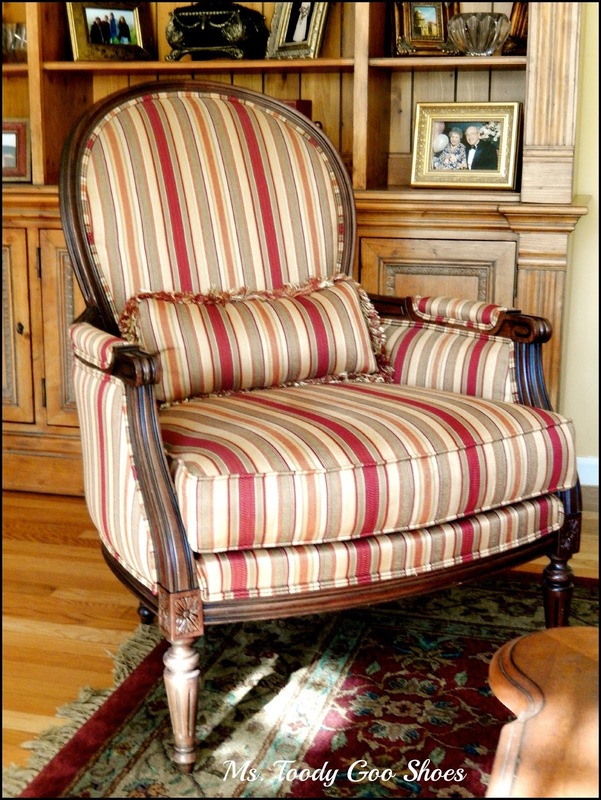 I had a hard time visualizing how this "plain jane chair" would look all dressed up in a fancy fabric. Oh, and about the fabric? 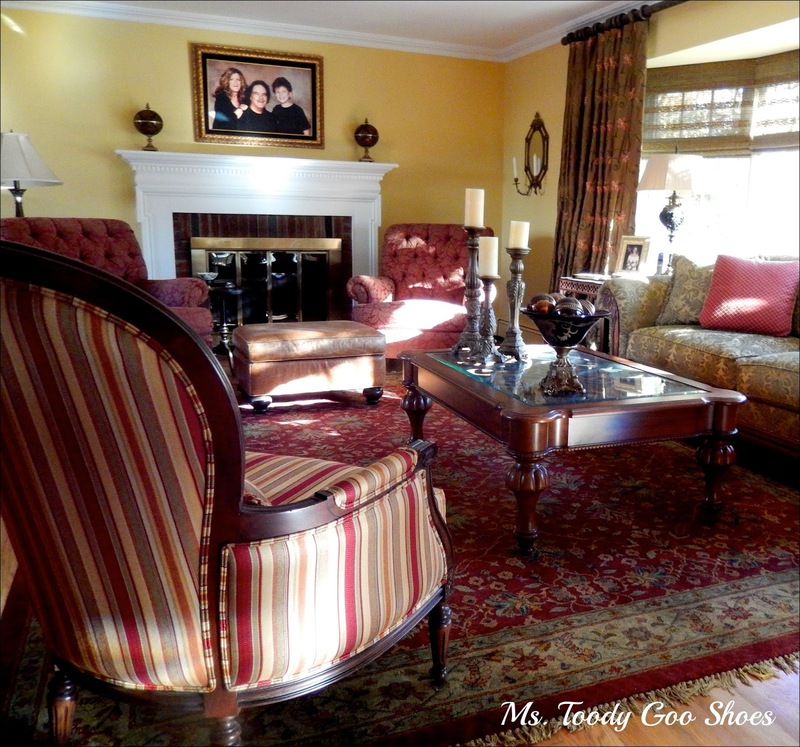 At the time, I thought it was kind of ordinary, but given all of the other things in the living room, like the rug and drapes, I wasn't overly concerned about this competing to be the center of attention. It just needed to have a supporting role, to help make the other pieces look good. I had no idea that it was going a scene stealer. When the chair finally arrived, I was thrilled with how it turned out. 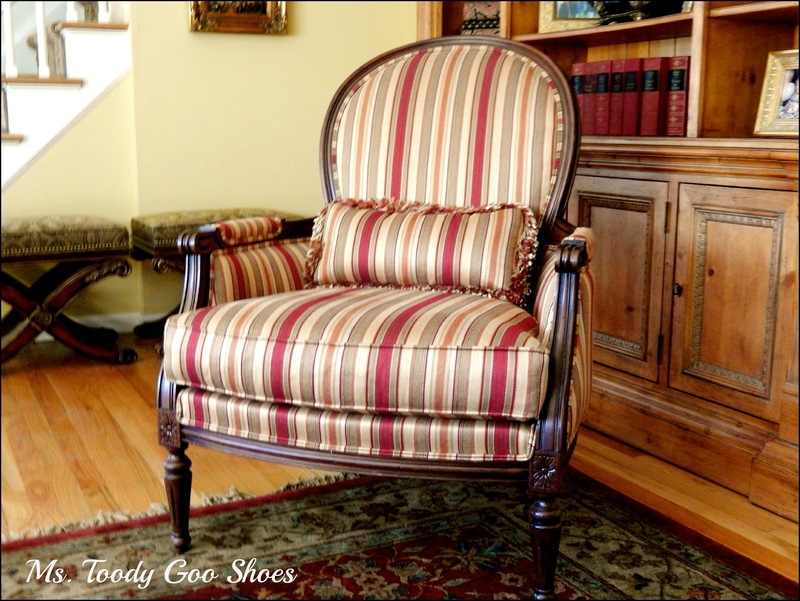 It looked nothing like the original country-style chair we had seen in the showroom. 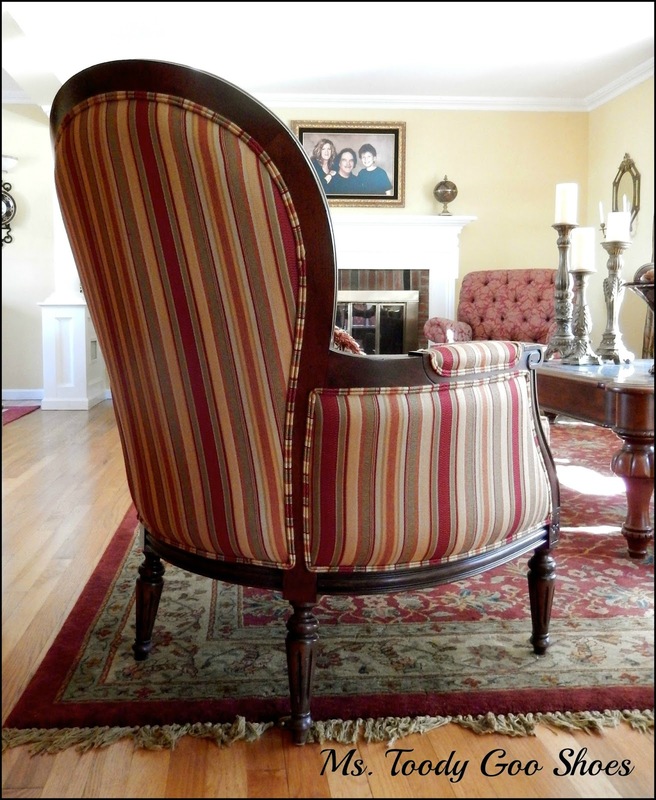 It's amazing how fabric can change the personality of a piece of furniture. 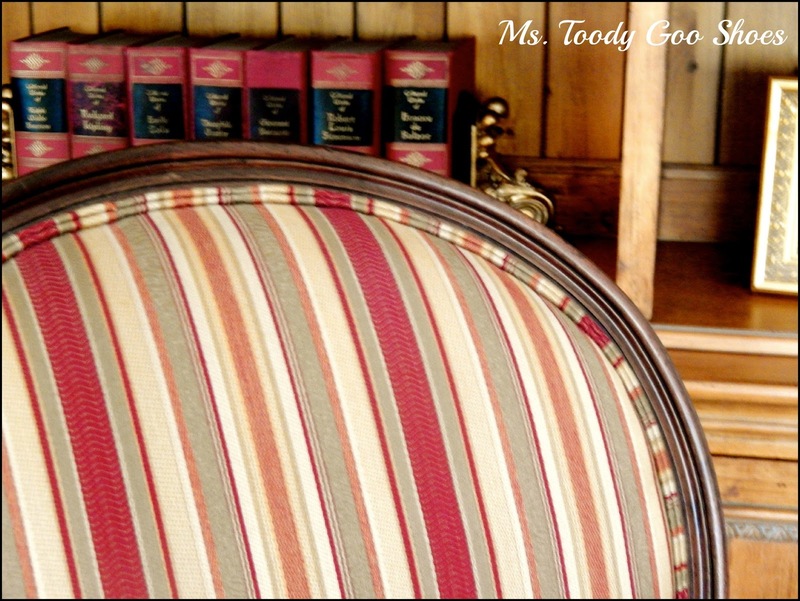 I loved the rich, warm colors, and the striped fabric gave it a classy look. The frame had lots of detail, like the carvings on the arms and legs. The curved back made it look substantial, yet graceful. Yes, I was happy with it. 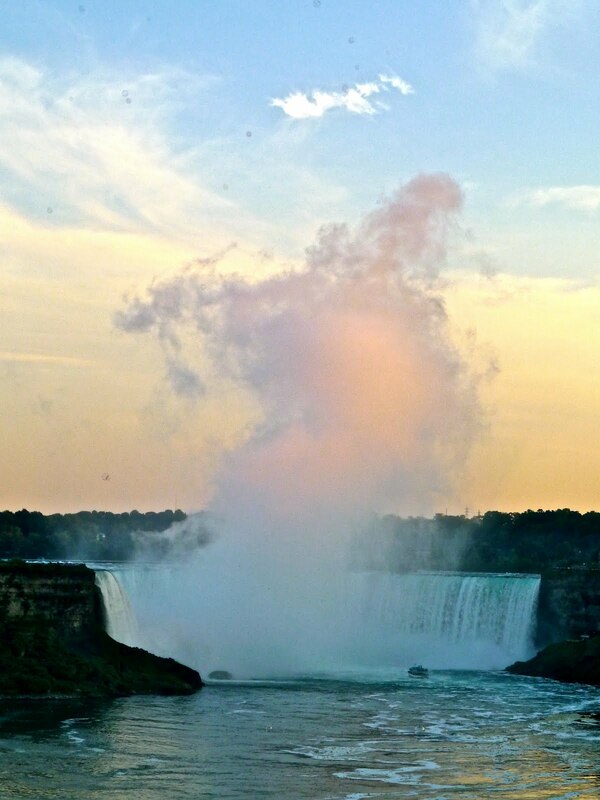 But as pretty as it was, I don't think it really began to shine until we found the right spot for it. 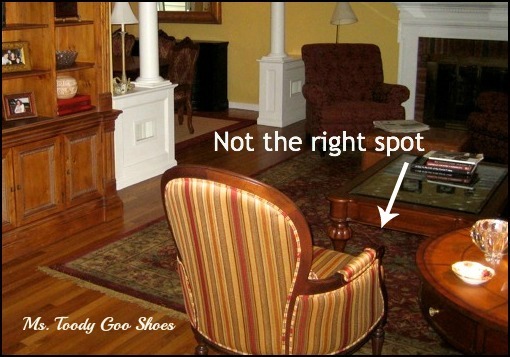 At first, we placed it next to the round table at a right angle to the couch, as you can see below. We left the it there for months. 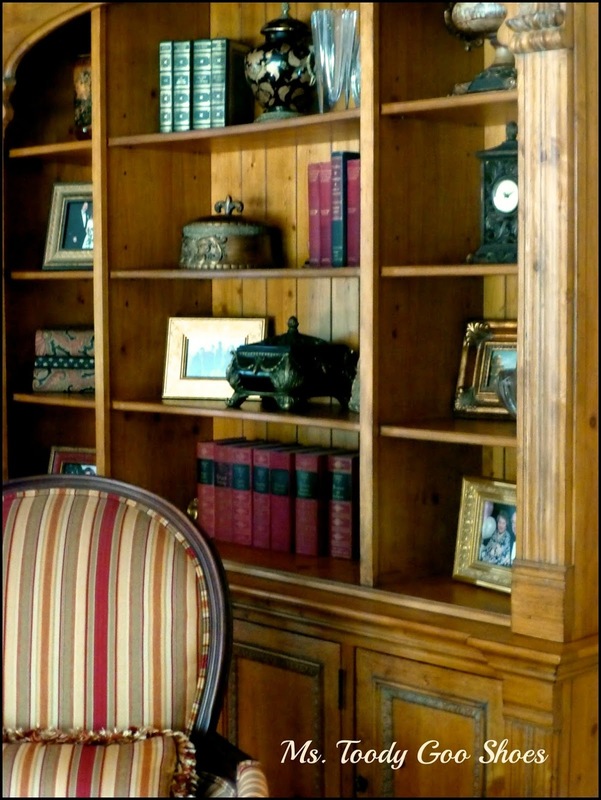 One day, someone who was visiting suggested that we move the chair in front of the bookcase, and angle it in towards the sofa. And that's when it really began to win me over. 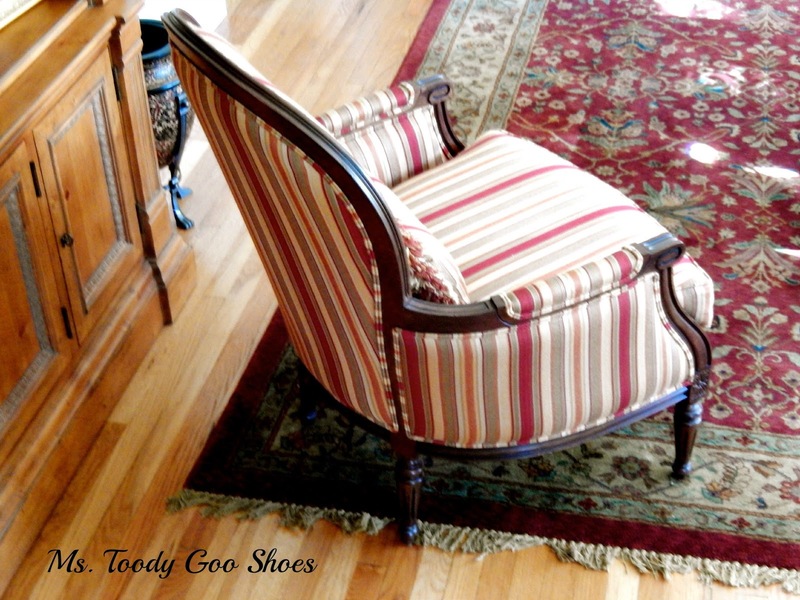 Anchoring the chair against the bookcase really showed off its style, and made the fabric pop. It's kind of like having a nice sweater and a pretty scarf. Individually, they look nice, but wearing them together makes a statement. 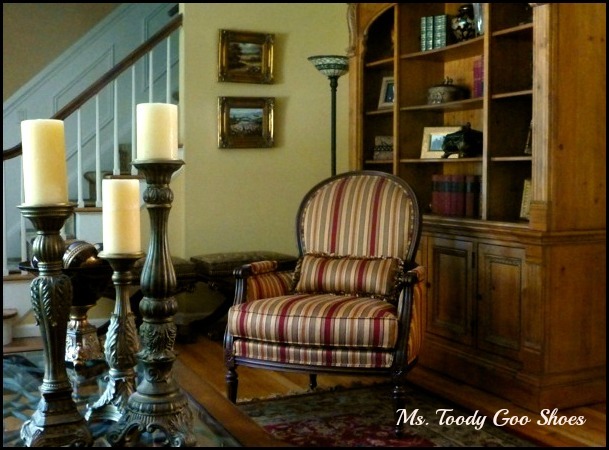 Simply moving the chair to the right spot changed the feel of my living room, and created a cozy little vignette. Now, if you'll excuse me, I'm off to see what other furniture around here needs to be put in its proper place. Have you ever baked something, secretly hoping that no one else in the family will like it? You know, so you can eat it all yourself, without worrying that someone will beat you to the last piece before you get back from Zumba? Nah, me either...I was just kidding, heh heh. 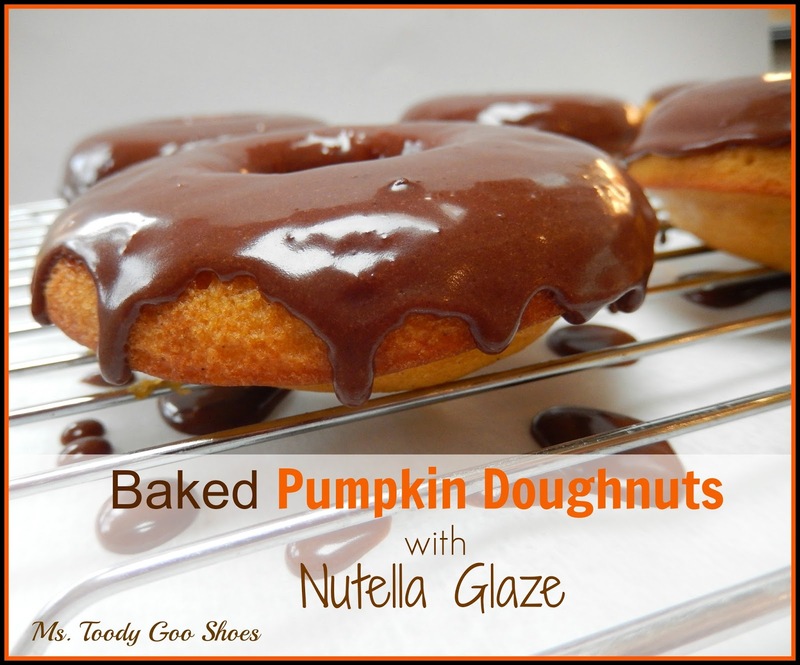 That's why I was enormously relieved that when I made these Baked Pumpkin Doughnuts with Nutella Glaze, the Fam went crazy for them. I was so thankful that I wouldn't have to eat them all myself. Good thing...that would have been so awesomeful, because then I'd have to squeeze into that fabulous outfit I just bought for my upcoming high school reunion. 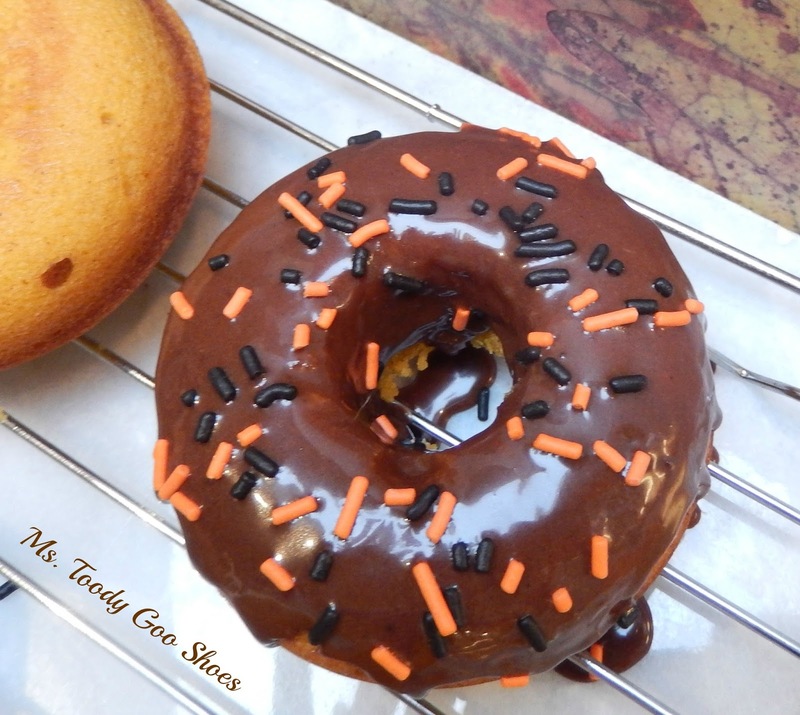 These doughnuts were so delicious that I am never making them again. Well, at least not until after the reunion, anyway. Otherwise, my mid section may be mistaken for giant doughnut, which will totally give away the fact that I am not as thin as I was ten twenty well, never mind how many years ago it was when I graduated from high school. I just can't risk it. In fact, next week, I am going to bake broccoli donuts with tuna glaze just to be safe. I must not be tempted. 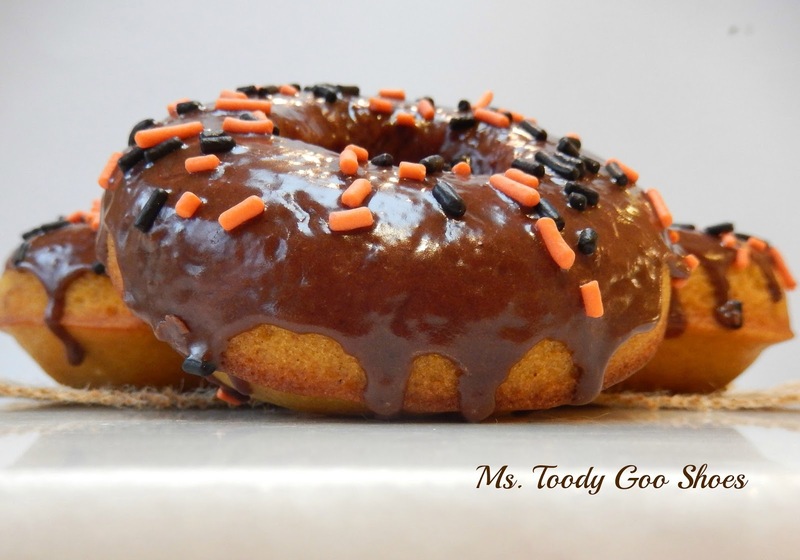 Now, unless you have a high school reunion to go to this month, you have no reason not to make these. In fact, you MUST. ...but I bet I can beat that record with this recipe. 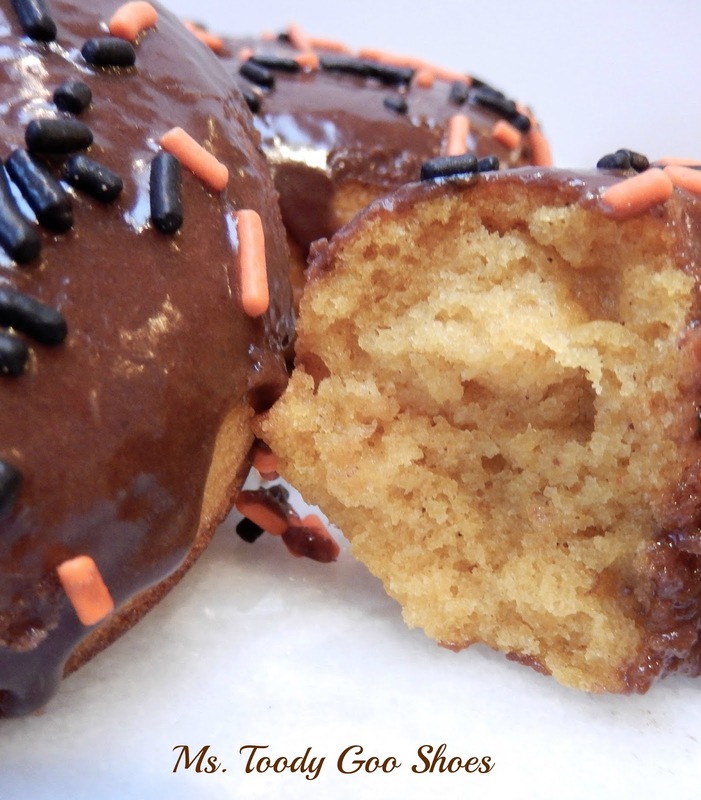 The doughnut recipe came from King Arthur Flour's website -- Pumpkin Cake Doughnuts. 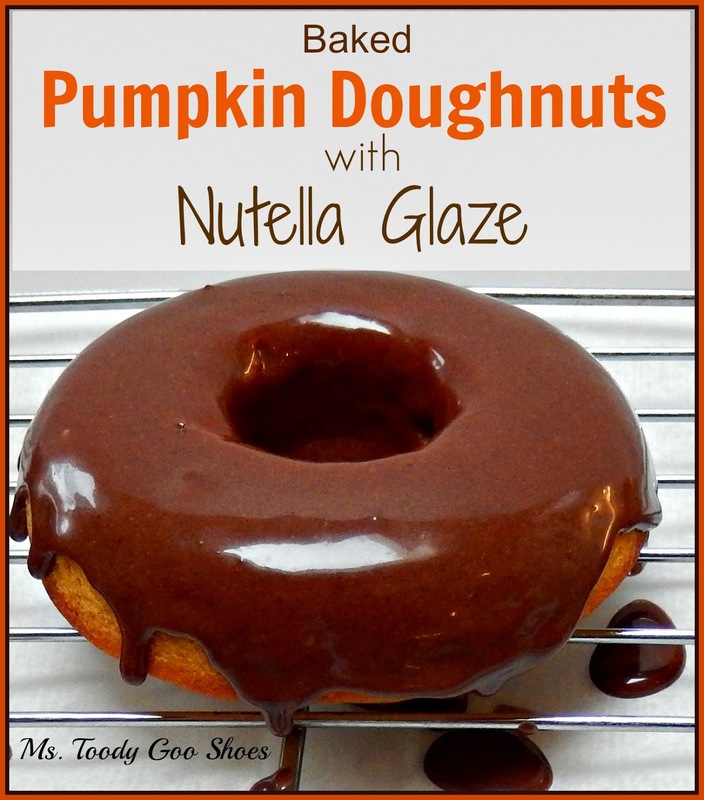 The nutella glaze recipe came from 2 Tough Cookies, where it was used on Baked Buttermilk Doughnuts, which I am definitely going to try. What I like best of all is that this recipe SO EASY. I didn't even have to use my electric mixer. I combined the liquid ingredients with a whisk, and stirred in the flour with a spoon. 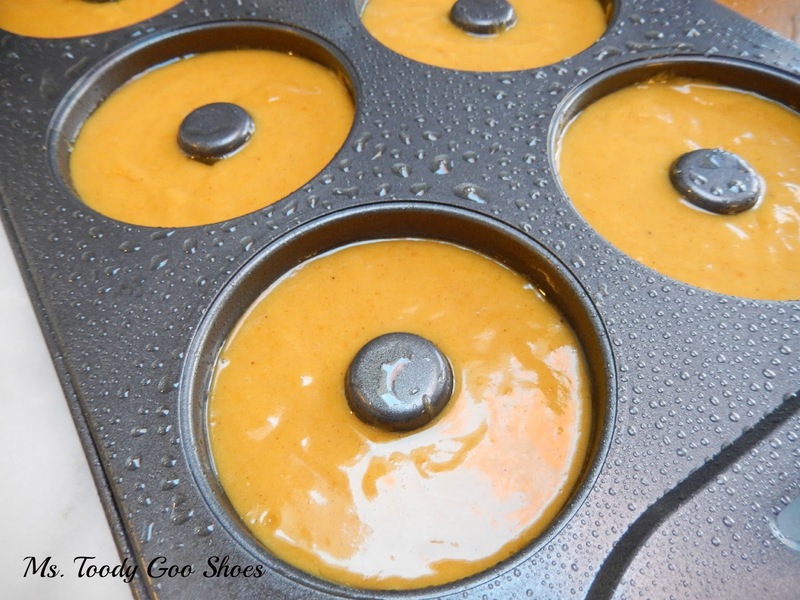 And...I did not drop the pan when I put them into the oven, like I did with the Mini Pumpkin Pecan cups. By the way, that mess was SO awful to clean up, I decided the heck with it and just bought a new oven. Surely I jest, but yes, we are going to replace our oven and cooktop, but not, I assure you because I am too lazy to clean them. Really. More about that in another post. 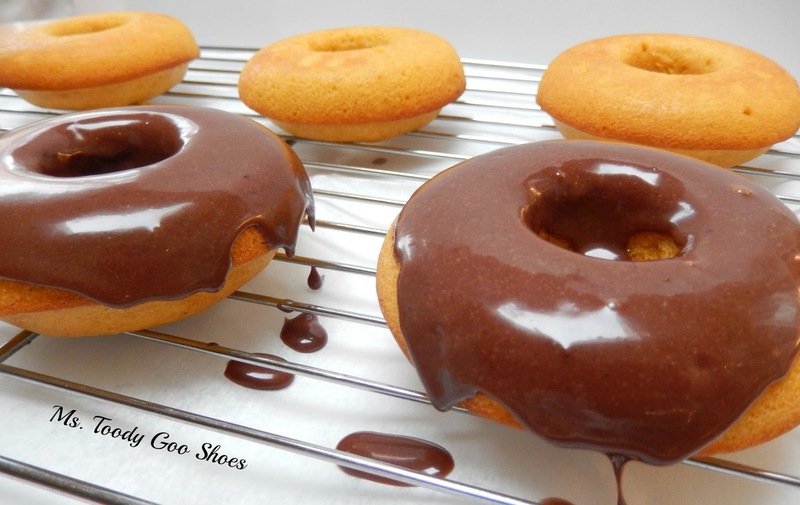 The doughnuts are best served the day they are glazed. 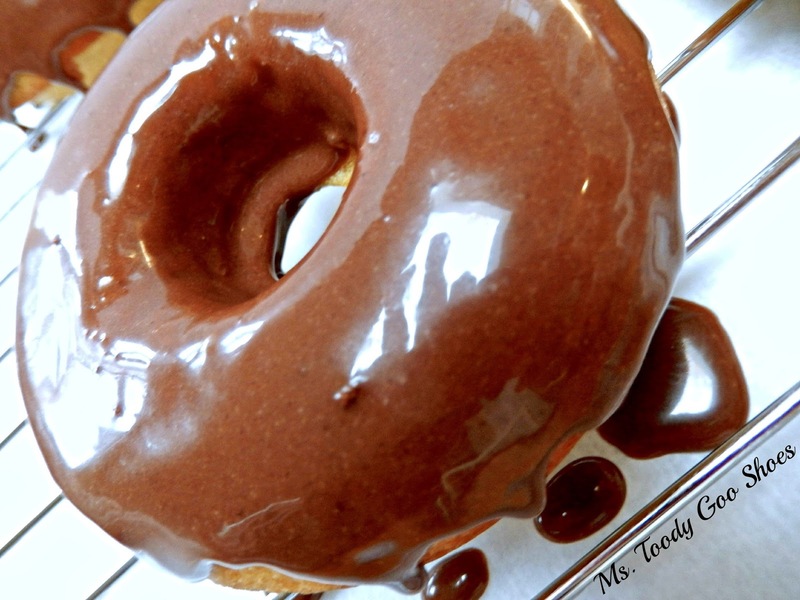 If you want to make the doughnuts in advance, wait until you serve them to add the glaze. Ready to bake? Ladies and gentleman...Start your ovens. 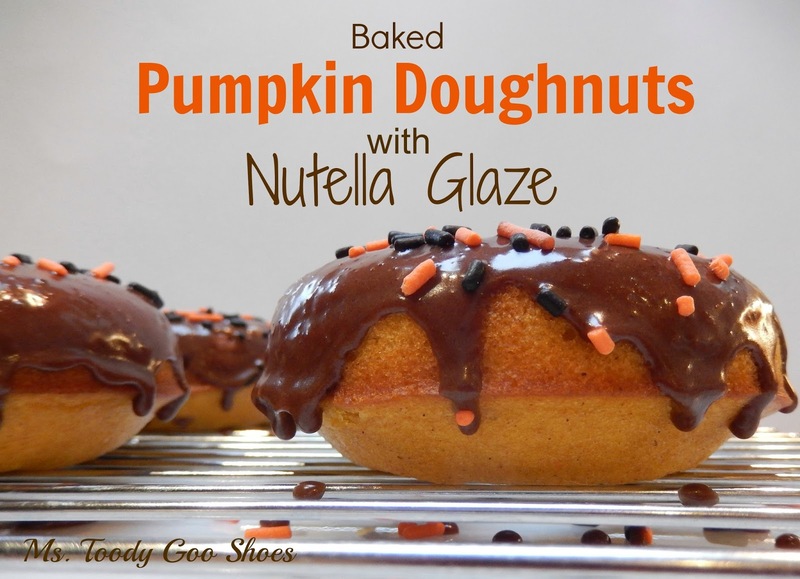 The recipe makes between 12-15 doughnuts. If it makes more than twelve, it is highly recommended that you hide those extras somewhere for yourself. No one will be the wiser. Just don't forget where you put them. Trust me on this, I'm experienced with this kind of thing. If you find them in the bin with the Halloween decorations next fall, it won't be pretty. Preheat the oven to 350 degrees F. Lightly grease two standard donut pans. Beat together the oil, eggs, sugar, pumpkin, spices, salt and baking powder until smooth. 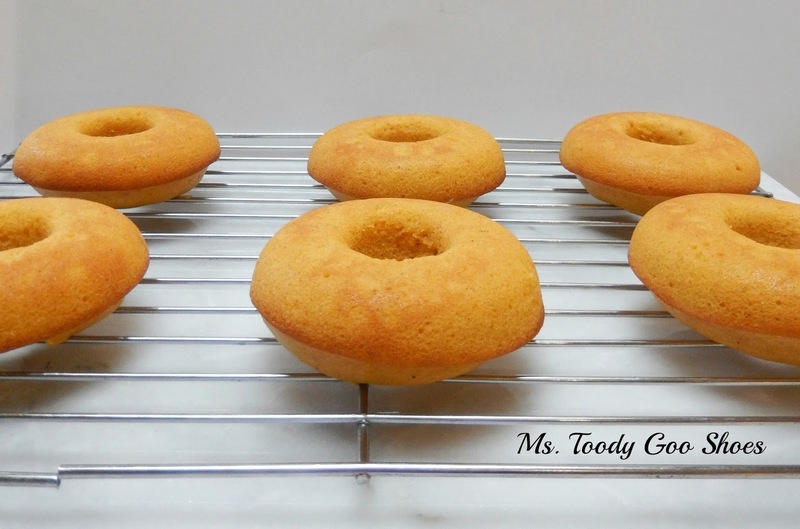 Fill the wells of the donut pans about 3/4 full; use a scant 1/4 cup of batter in each well. Bake for 15-18 minutes, or until a cake tester inserted into the center of one comes out clean. Let cool about 5 minutes, then loosen their edges, and transfer to a rack to cool. In a small bowl combine powder sugar, cocoa powder, milk, and nutella (you may need to melt in microwave a bit). Stir until smooth. If it is too thick add more milk, about a tablespoon at a time, and if it is too thin add more powdered sugar a tablespoon at a time. 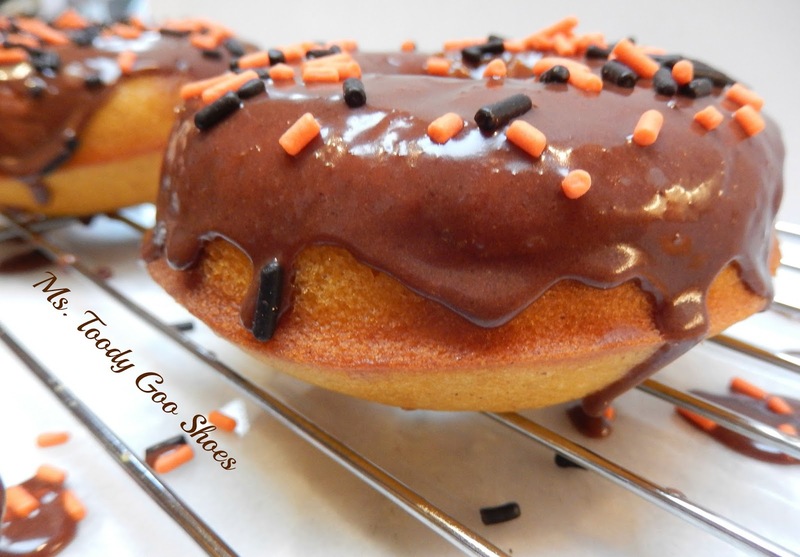 Once donuts have cooled, dip each donut into the glaze and swirl to evenly coat. Set on parchment paper or rack, and top with sprinkles, if desired. Let sit for about 20 minutes. Best served the same day they are made. 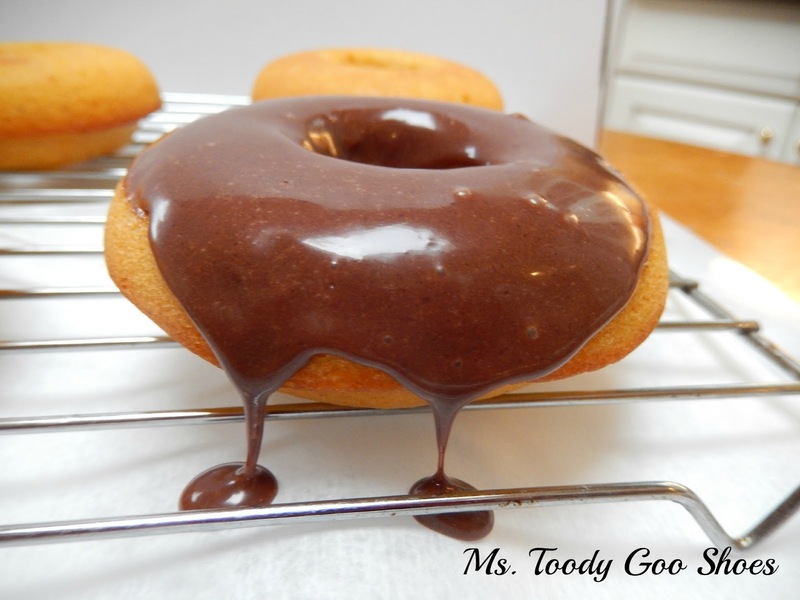 If you are going to make them ahead, wait to glaze doughnuts until the day they are going to be used.